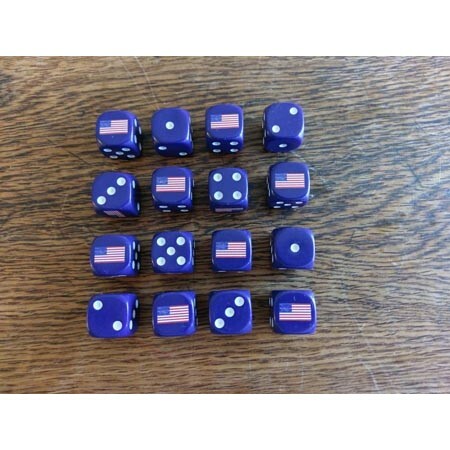 A Set of 16 - Union Dice (16mm). 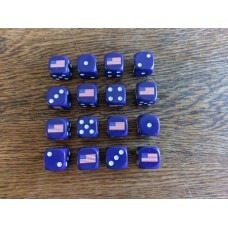 These custom designed dice have the Union 35 Star Flag Logo Printed where the 6 would be. 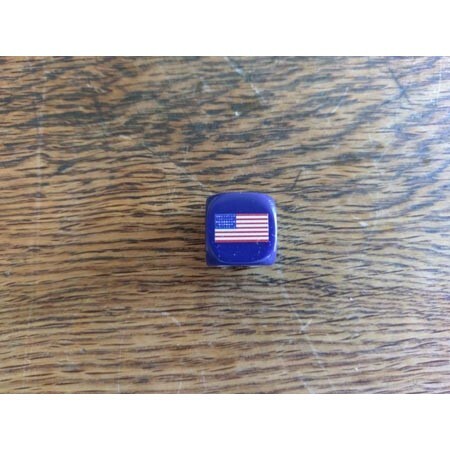 For use in any American Civil War miniature wargames such as Volley and Bayonet and Fire and Fury.